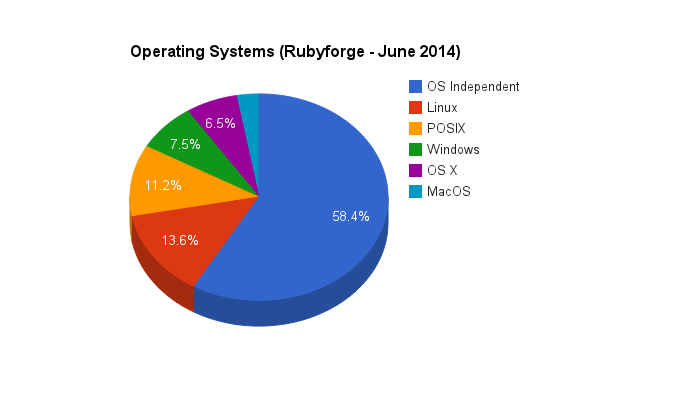 As of June 2009, what are the top operating systems used by projects listed in Rubyforge? Read more about As of June 2009, what are the top operating systems used by projects listed in Rubyforge? As of June 2009, what are the top operating systems used by projects listed in Sourceforge? This chart shows the top operating systems used by projects in Sourceforge. Read more about As of June 2009, what are the top operating systems used by projects listed in Sourceforge? 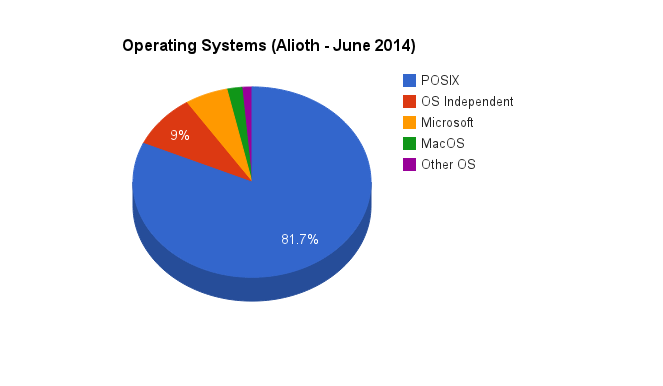 As of June 2009, what are the top operating systems used by projects listed in Objectweb? 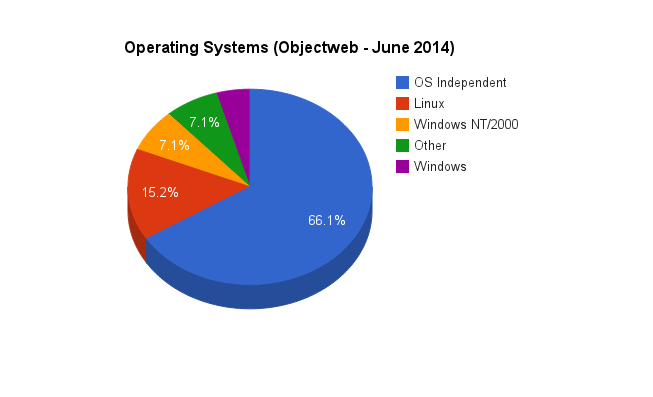 Read more about As of June 2009, what are the top operating systems used by projects listed in Objectweb?